New Delhi: It may come as a surprise but electronic voting is not the prevailing choice among the world's democracies, though most forward-looking nations are aspiring to go electronic to cast ballots. Today, only about a two dozen nations have adopted electronic voting. Yet, on this landscape India is undoubtedly a world leader. In 2014, more than half a billion people cast their votes on electronic voting machines, a world record! A whopping 1.4 million individual electronic voting machines were used in 930,000 polling stations spread across the country in the 2014 parliamentary poll. Chief Election Commissioner Nasim Zaidi had announced that all future elections will be held using a verifiable paper trail. "The Commission will ensure 100 per cent coverage of Voter Verifiable Paper Audit Trail (VVPAT) in all future election to the parliamentary and state assembly elections. 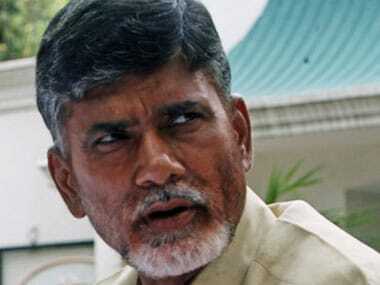 VVPATs slips of a percentage of EVMs to be determined by ECI will be counted," he had said. This should go a long way in allaying fears that tampering is taking place. 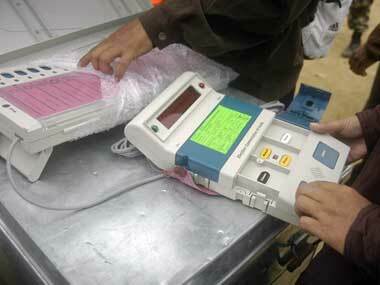 Today, electronic voting machines (EVMs) are under an intense scanner. At least 24 countries have dabbled with some form of electronic voting or the other. There were, at the last count, about 120 democracies in the world. These include tiny countries like Estonia to the oldest democracy -- the United States of America. But India stands out as being the largest democracy of the world that has one hundred per cent electronic voting. There are countries like Germany that adopted electronic voting and were then forced to go back to a paper balloting system. The countries that have introduced some form or the other electronic voting includes Australia, Belgium, Brazil, Canada, Estonia, Finland, France, Germany, India, Ireland, Italy, Kazakhstan, Lithuania, The Netherlands, Norway, Philippines, Romania, South Korea, Spain, Switzerland, United Arab Emirates, the UK, Scotland and Venezuela. Still small but diverse in nature. The US may be a 241-year-old democracy but it still does not have a uniform system of voting. Many states use ballot papers while some use electronic voting. Recall the chaos in 2000 when vice president Al Gore lost his presidential challenge to George W Bush, thanks to what was called the 'hanging chads' as the US had used paper ballots. Today, Americans are facing a different challenge when allegations are raised suggesting that President Donald Trump's election was influenced by an unknown Russian hand largely through some kind of cyber hacking done to influence the voters while there are still no suggestions of any direct tampering of the electoral process. Many of the electronic voting machines used in America are all networked and connected to the Internet. While the Internet gives people ease to vote from their homes but like all networked devices they are prone to sophisticated attacks which can result in large scale unnoticed rigging. This is one flaw which makes many countries shun electronic voting machines. Very few can even think of implementing non-networked stand-alone large scale calculator like device based solutions, except for some creative geeks in the world's largest democracy. Germany introduced electronic voting in 2005 and it used privately-made machines imported from a company in The Netherlands to conduct its elections but many infirmities were revealed off these machines and in 2009 a Federal Constitutional Bench held electronic voting machines as unconstitutional. Experts say it is really the lack of an enabling law which made the judiciary in Germany strike down the use of electronic voting. 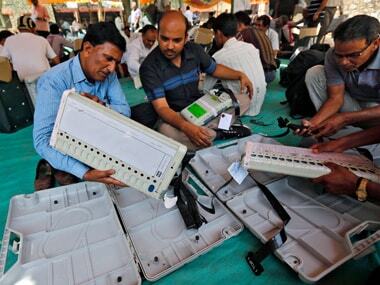 In India, the Parliament passed an enabling law in 1988 which made use of EVMs constitutionally valid. The tiny European country of Estonia with a population of just 1.3 million became the first country in the world in 2005 to have mandatory electronic voting using the Internet. Reports suggest that in 2007, Estonia conducted the world's first national Internet-based election. Voting was available for three days and a total 30,275 citizens used Internet voting and it went of peacefully. Among the larger countries, Brazil and Venezuela have used electronic voting systems on a large scale. Brazil, the world's fifth largest country with a population of about 207 million, started using electronic voting in 1996. Since the turn of the century, all elections in Brazil have taken place using electronic voting machines of which it owns some four lakh and results of Brazilian elections are usually available within hours of the balloting closes. Venezuela introduced electronic voting in 1998 and in 2004 to make the system more reliable and robust it started a voter verifiable paper trail. But doubts were raised in the minds of people when it was revealed that the machines were made in accompany where the winning candidate had a large stake. In addition, Venezuela became the first country to use touch screens to register votes and duplication of votes was avoided by taking thumb prints of the voters. But some suggested taking the thumb prints compromised the secret ballot as voters could be traced back. This should act as deterrent to anyone who holds even remote thoughts of linking Indian voting system with the Aadhar cards, even though undoubtedly it offers a tantalising solution to rid some electoral malpractices. 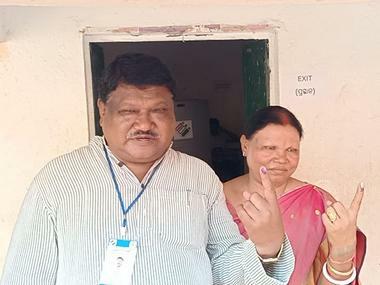 The EVM in India is called a direct recording device where the voter has to visit a designated centre to cast their votes. The machine itself consists of a control unit and a balloting unit connected using a long cable. Several layers of seals ensure that the machines are not tampered with in any manner. There is a double randomisation process which makes it impossible for any person to know which machine will be used in what constituency, this is done to safeguard that machines are not pre-programmed to cast ballots in favour of a particular candidate. Even the final placement of the list of the candidates on the balloting unit is not known till the last day of withdrawal of the nomination before the election, so tampering with machines is virtually an impossible task. The candidate names are placed in an alphabetical order giving it even more variability. The EC is also promising to hold a 'challenge' to offer opportunity to political parties to "demonstrate that EVMs used in the recently-concluded assembly elections were tampered or that EVMs can be tampered even under the laid down technical and administrative safeguards". The Aam Aadmi Party that has been carrying out a high-decibel campaign suggesting EVMs can be tampered it seems is already planning not to expose itself in the 'challenge' as it is squabbling with the EC literally over semantics and wants the 'challenge' called a 'hackathon', with its leader Arvind Kejriwal saying "sad that EC has backed out of hackathon". In common parlance, there is really no difference. Only that 'hackathon' is a word that came into existence after the Internet was born and usually associated with networked events. In India's case, the EC points out the EVMs are stand-alone devices that do not talk to each other through any means including via the Internet. It is this unique standalone nature of the machines which give them the necessary invincibility and make them as tamper proof as any machine can really be. In a judgment, the Karnataka High Court called the EVM a "national pride" and acknowledged the Indian election system as a "global gold standard".